One of the most frustrating aspects of completing Fortnite’s weekly challenges is actually knowing what they are. It’s easy enough to find out, of course, but in the heat of battle it can be easy to forget, and the only way to find out is to tab out and check the internet, or head back into the game’s ‘Challenges’ tab while you’re in the pre-game lobby. Thankfully, Epic have taken action, and have provided a fix, making it much easier to keep track of your challenges while you’re in-game. A few weeks ago, they provided a tracker to let you know when you’ve completed a challenge, but the addition of this new tool allows you to check up on what you need to do next to earn your battle stars. The new challenge screen shows players all of the weekly challenges, as well as the Drift, Ragnarok, and Road Trip challenges that they’ve completed. You’ll need to go to your menu dropdown to access the challenges, which does still take you out of the game, but to a much lesser degree than before. You can take a look at what the in-game challenge menu looks like below. Some players are reporting issues with their previously-completed challenges appearing as incomplete, which could lead to some problems with the new system, but Epic are working on a fix, and say that actually accessing the challenges will still show progression. 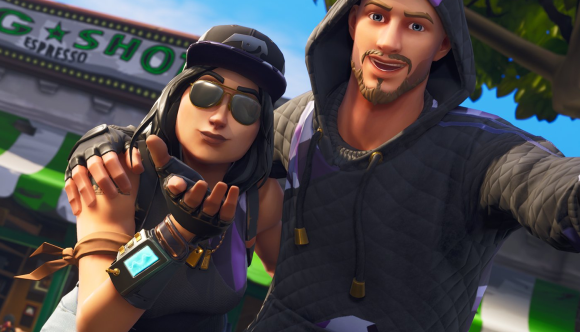 Check out the Fortnite 5.2 patch notes for the latest additions to the game. The Fortnite week 5 challenges will drop later this week, while you can still work on the Fortnite week 4 challenges for that bonus XP. And if you need a hand earning that victory royale, check out the video above for our Fortnite tips and tricks.